These are not projects we want to work on, it’s something we have to work on. 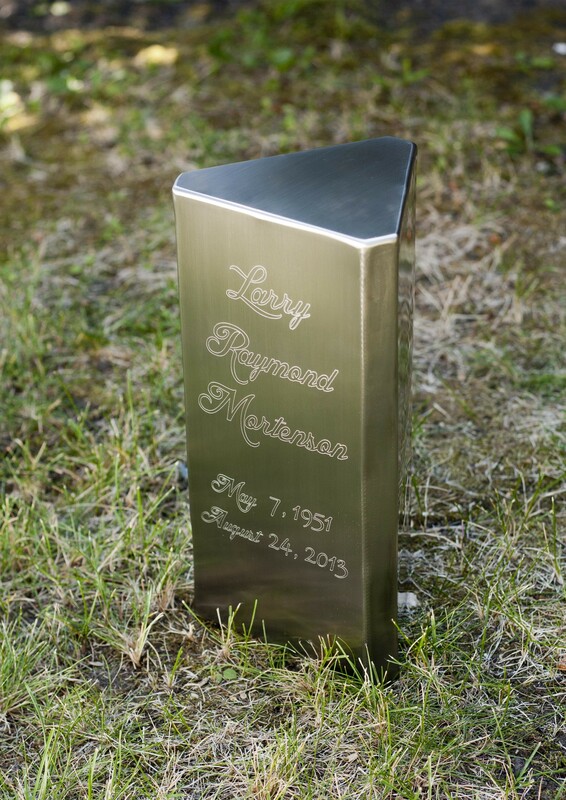 Here’s a stainless steel urn produced in the shop for my father-in-law, Larry Mortenson. 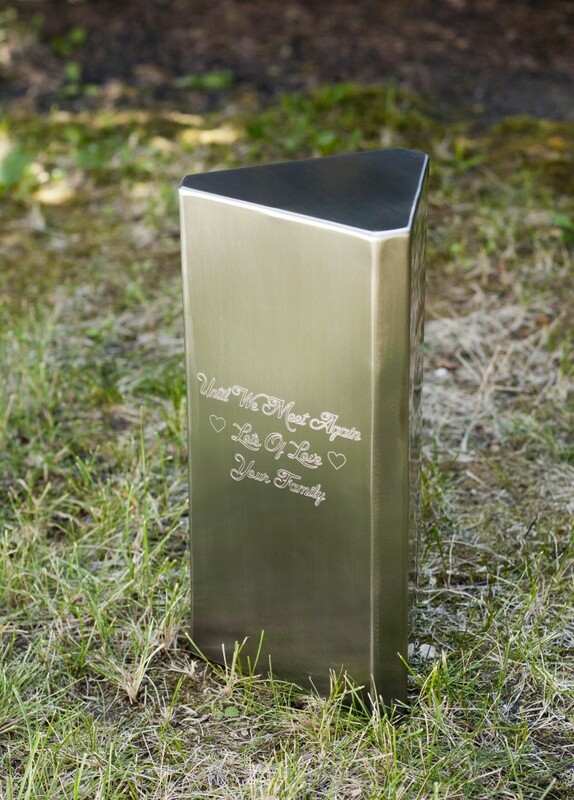 This urn was designed in SolidWorks, converted to a flat pattern and all pieces exported as .dxf’s for the CNC table. It is made out of 14ga 304 stainless steel, the perimeter is one piece that is slit with the plasma cutter along the bend lines, which is subsequently TIG welded closed. The top is a separate piece that is TIG welded on, the bottom is a separate piece that is attached with three #4-40 screws. Prior to any cutting the part was engraved on the CNC table. Warpage was a big concern so the use of a damp cloth was used to help dissipate heat without imparting any heavy scratches on the urn prior to final brushing. All the welds were ground down and the entire part is finished with a fine scotch brite pad and cleaned with a stainless steel cleaner. Here’s the urn after welding. The top has the welds blended in. Here is the urn ready for the funeral and to protect Larry’s ashes at his final resting spot. 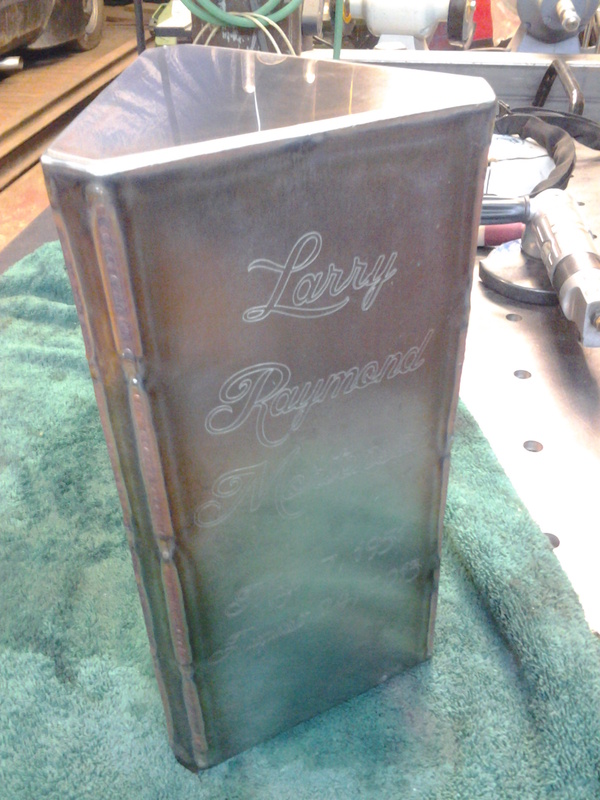 One personal touch is that all Larry’s immediate family’s signatures are engraved on one of the three sides. 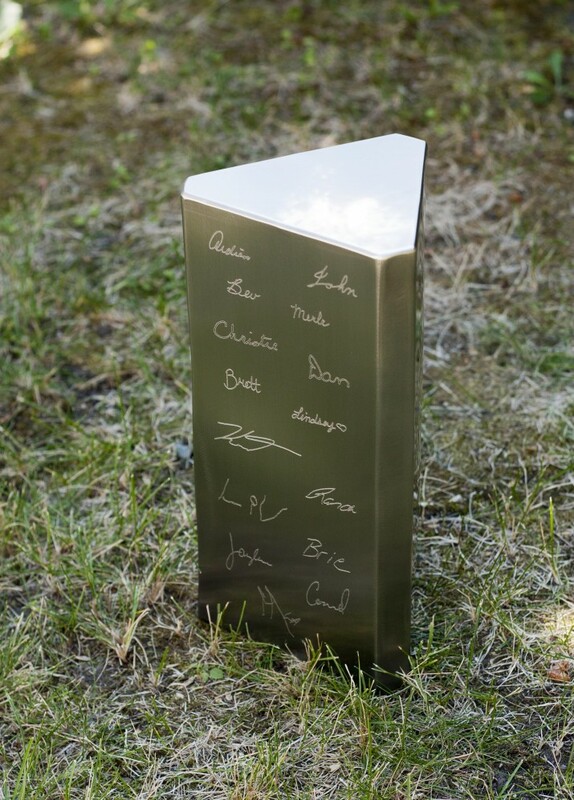 The signatures were scanned, converted to vector format and engraved.